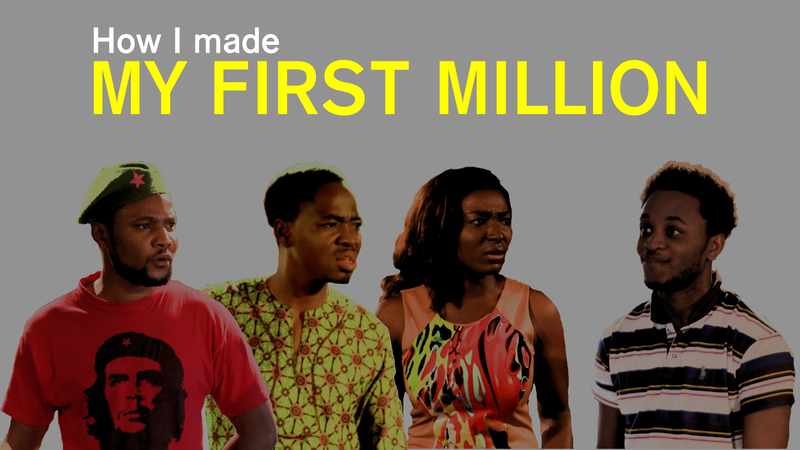 How I Made My First Million is a sitcom created by Cinema Kpatakpata for EbonyLife TV. It traces the fate of comically inept wannabe business guru Obi as he struggles to bring in the big money that he feels he is destined to make. Whether its in overpriced get-fit-quick videos or breakaway communist republics, Obi sees an opportunity to make big bucks everywhere. Caught up in the chaos are Obi’s long-suffering girlfriend Maria, idealistic best friend Kunle and their unshakeably optimistic housemate Joji. The first series of How I Made My First Million premiered on EbonyLife TV in March 2014.